Some User likes to use shift+ deleted button, whenever they want to remove files and folder from pen drive. some User makes habit they always remove all file and folder from recycle bin. Sometimes user deletes files and folders accidentally from an external device such as pen drive, USB flash drives, memory cards, and SD cards etc. In this situation, all files and folder deleted permanently. The user can not recover data from recycle bin folder. Then it creates a problem for the user to recover permanently deleted files. when they realize that they have deleted a wrong folder by one of the above ways and worry about how to recover permanently deleted files and folders. 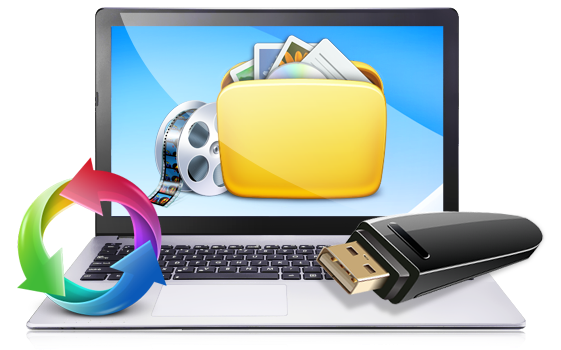 No need to worry about that simply Read this Article and then you will have two methods to recover permanently deleted files and folder from pen drive. First of all, generate a new file or folder on the desktop and name it with the same name as the deleted file or folder. Right-click the file and select “Restore previous versions“. Here Windows will find for and list the previous versions of the shift deleted files or folder with different times and dates. Select the current one and click “Restore” to undo the permanent deletion and get entire permanently deleted files or folder back with ease. This is the best way to recover data instantly without any size limitation. This tool is user-friendly, for use of this tool no need to acquire any technical knowledge. The user can also avail its free demo version to test the ability of this tool.